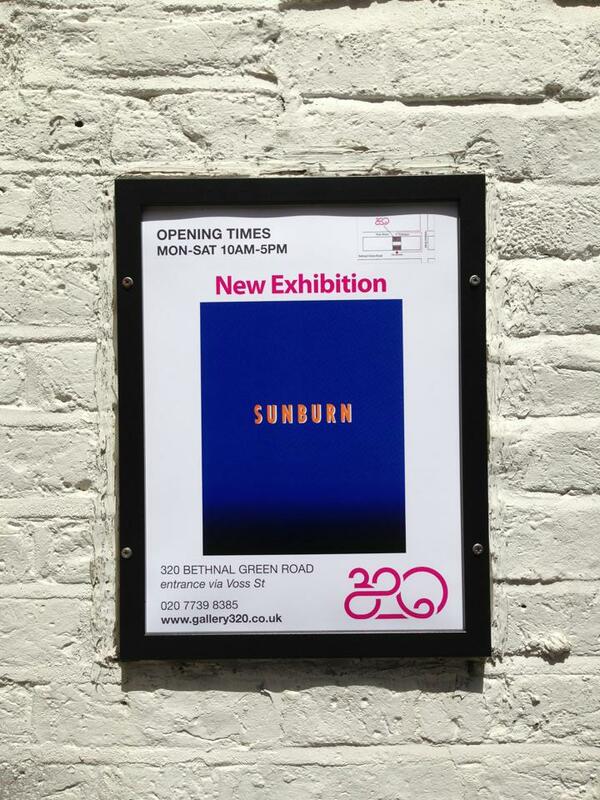 I’m very pleased to have work in Sunburn at Gallery 320 in Bethnal Green this week. …or come down for Free Art Friday on Friday 5th, from 12pm onwards. My Blue Face edition will be up for grabs!